IMPORTANT AIRSPACE UPDATE: There has been some bad news and rumous circling about the restricted airspace in the Cauca valley. But we just received the great news that there will be an official airspace 'G' up to 6500' above ground level! EPIC! Since my first visit in 2011 I fell in love with Colombia! 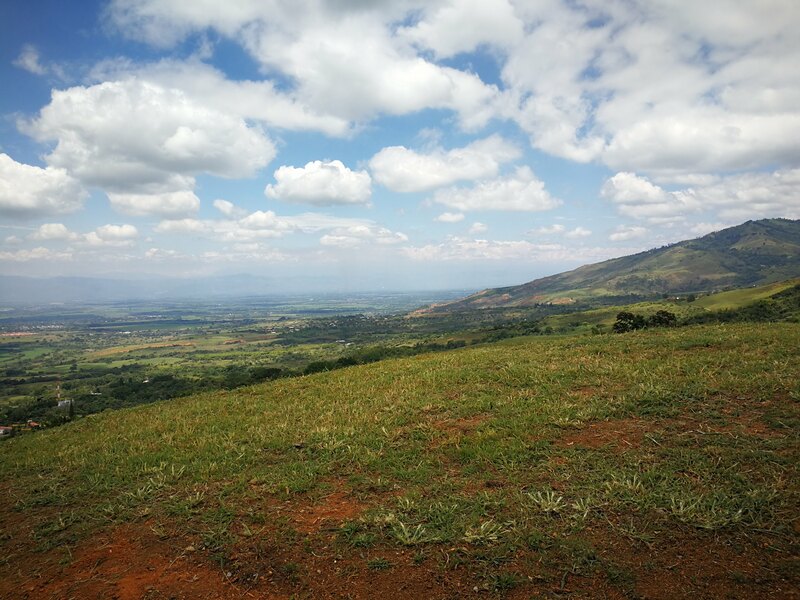 In 2016 even became land owner in Piedechinche, a magical flying site in the Cauca valley. I would like to share my enthusiasm both about the country, its warm hearted, welcoming people and its world class flying conditions that made this country the number one winter paragliding destination in the world. But this is not just another Colombian flying trip! Beside having fun and enjoying this beautiful country our main goal is to help you become a better pilot by improving your safety, technique and decision making. All participants will have the chance to take advantage of instructional XC tandem flights with our world class guides, included in the price. No matter if you are new to distance flying or if you are already flying competitions we will make sure that you get the most out of flying with us! Let's extend your horizon together! Please read through all the details first, then let us know if you are interested or if you have any questions! 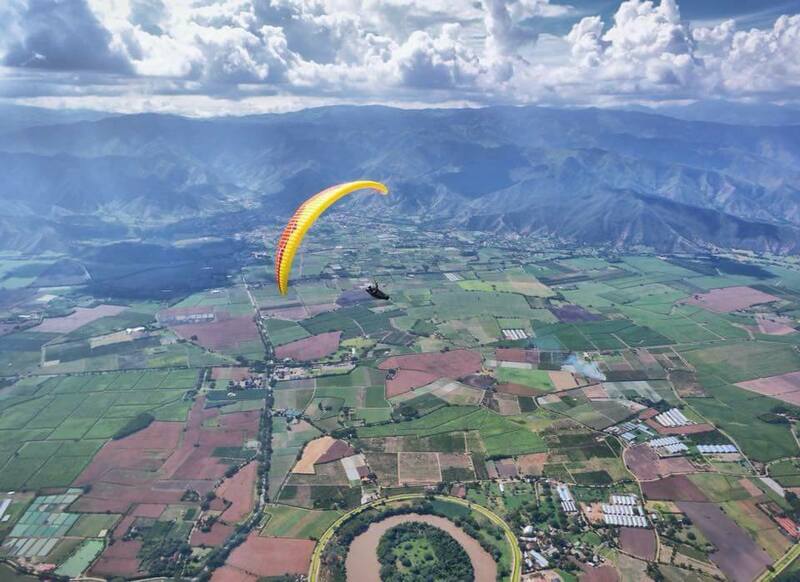 The flying arena will be in the well known Cauca valley. 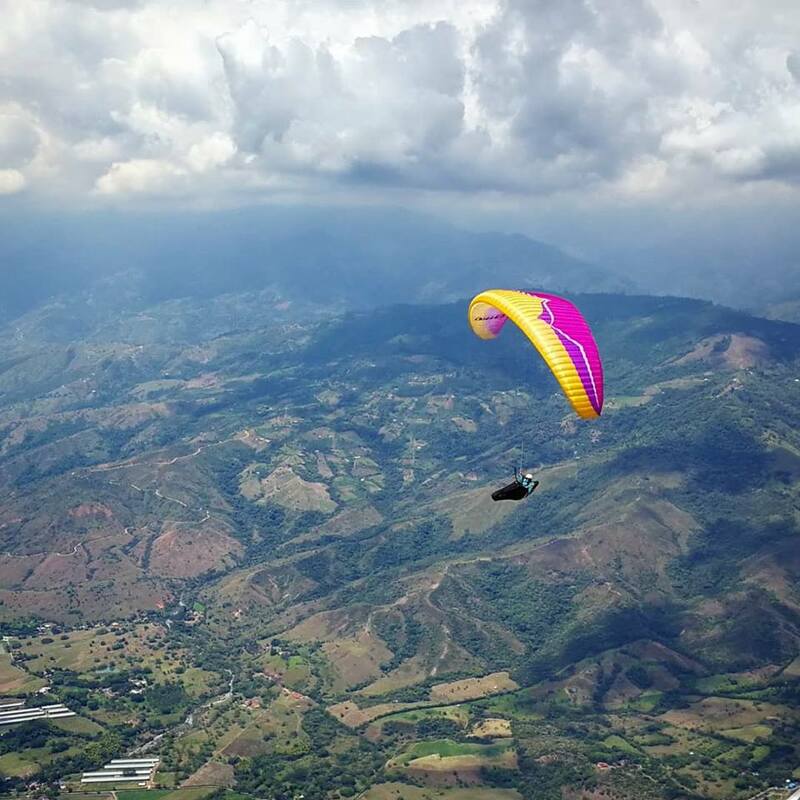 But instead of rushing to Roldanillo as most paragliding tours we will begin and end our journey in Piedechinche, some 50 minutes away from the Cali international airport. 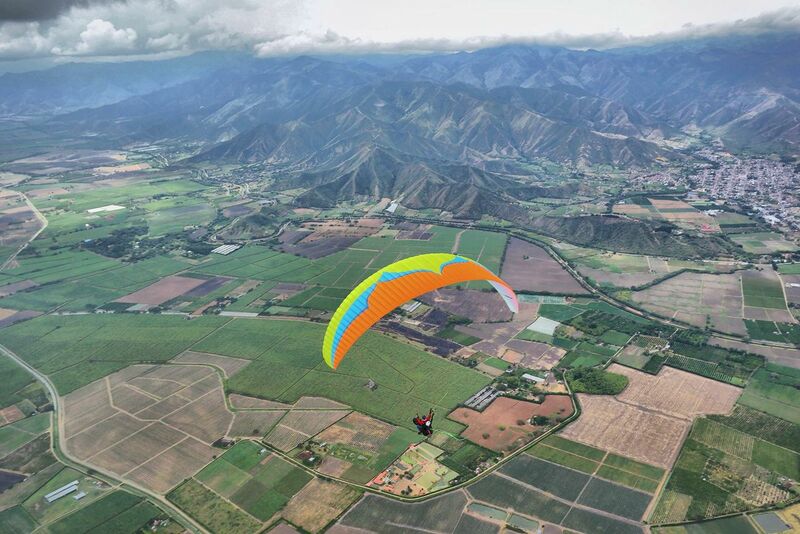 Piedechinche, near Santa Elena has it all to be a world class flying site. 3 beginner friendly, perfectly maintained take-off sites with quick access (multiple flights a day easily possible), huge beginner friendly landing place, impressive deep-jungle backdrop, countryside! No obstracting power lines, nor dangerously strong seabreeze in the afternoon would bother us flying here! 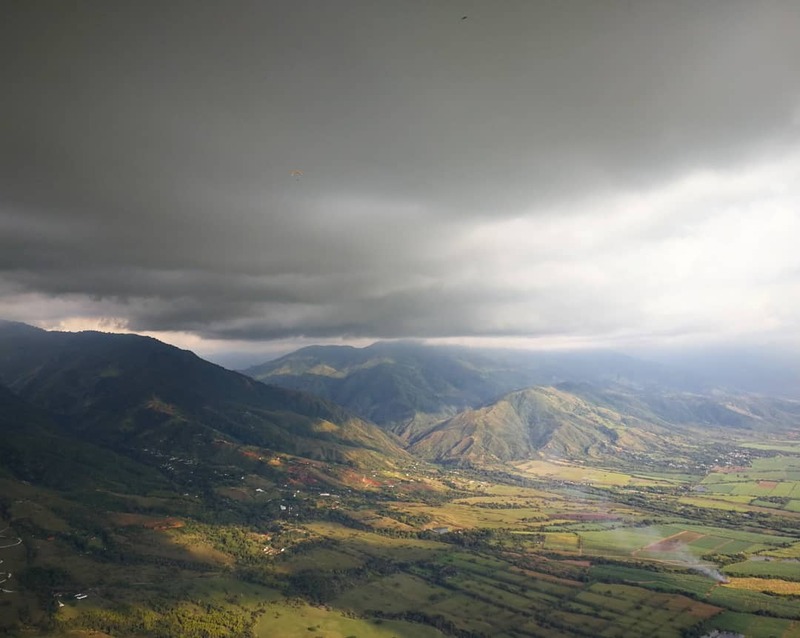 It is a relaxing place and the perfect flying environment to get to know each other and get the first taste of Colombian cross country flying while learning to fly in a group. Once we got acclimatized we will set the task to fly towards our next basecamp, the well known Roldanillo. It is a beautiful 100 km distance flight and we will try our best to get the most out of the day. We will spend the following week flying in this part of the valley, setting goals every day depending on the weather conditions. As an option there is also the possibility to visit another nearby flying site Ansermanuevo with the motivating goal to fly back to our house. - Cross country strategy and mindset. - Fly faster and more efficient. - Advanced glider control (rear riser steering, speed bar, etc). - Decision making. - Choosing your line. - How to get the most out of the day. - Fly in group and work together as a strong team. - Instructional tandem flights with our instructors. - Best preparation with in-depth briefings. - Individual coaching according to your level. - Setting daily tasks & goals. - We will be flying and learning together as a group to ensure best result. - Accompanied and coached by world class pilots. - Guides flying in the front and back end of the group. 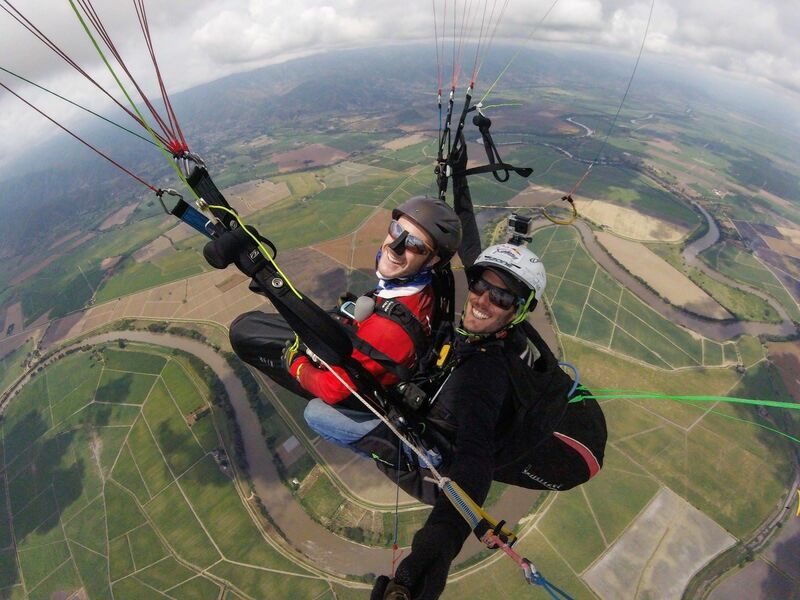 - Instructional tandem flights with one of our top-level coaches. - Pre-flight briefings / post-flight analysis, debriefing. - Take-off and landing fees. - Alternative programs / entrance fees. Having visited Colombia many times Pál knows flying in the Cauca Valley very well. 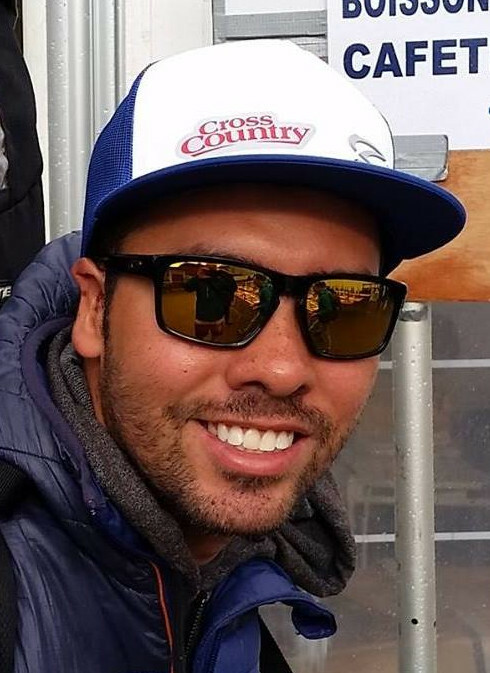 In 2017 this made him be the Meet Director of the prestigious Paragliding World Cup Superfinal held in Roldanillo. Pál is a DHV and APPI certified instructor, fluently speaks English, German, Spanish and Hungarian. Originally from Venezuela, today a member of the German National Team. In recent times Ernesto "Junior" flew himself into the Top 10 of the World Ranking by some outstanding and constant results. We all want to learn his secrets ;) Living in Garmisch-Partenkirchen, Germany he speaks German, English and of course his native tongue, Spanish. He has flown and competed in the Cauca valley many times. 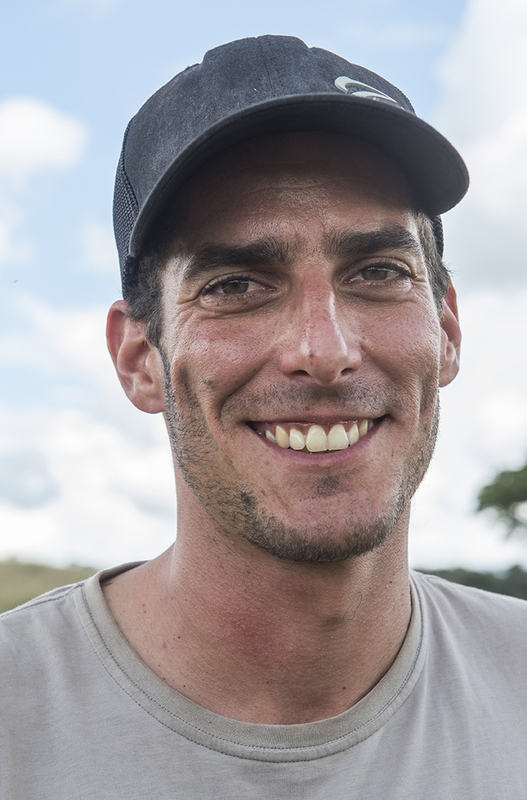 Born and raised in Colombia, today flying competitions under the British flag, Sebastian is a true multi-cultural personality and one of the top World Cup pilots. Coming back to his homeland every winter he knows every corner of our flying arena like his own palm. 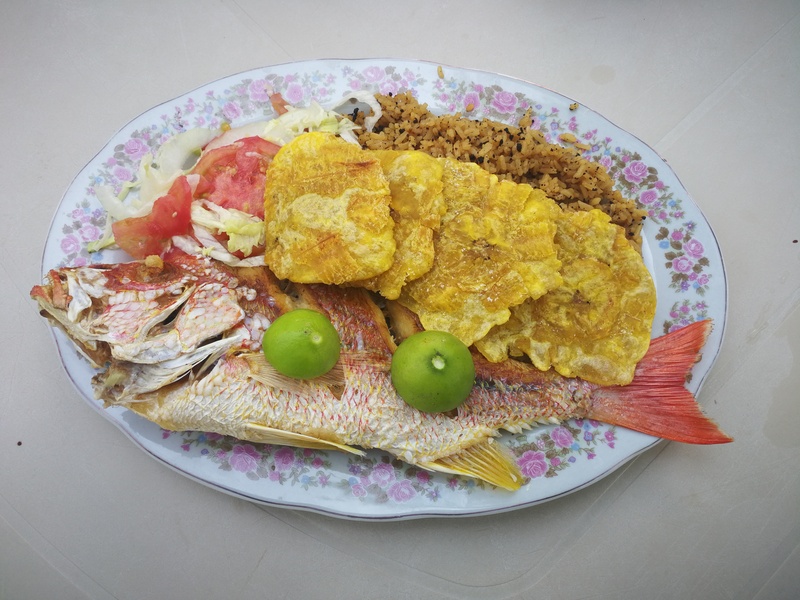 'Seba' has already been working with guided trips in the valley for years and perfectly speaks English and Spanish. 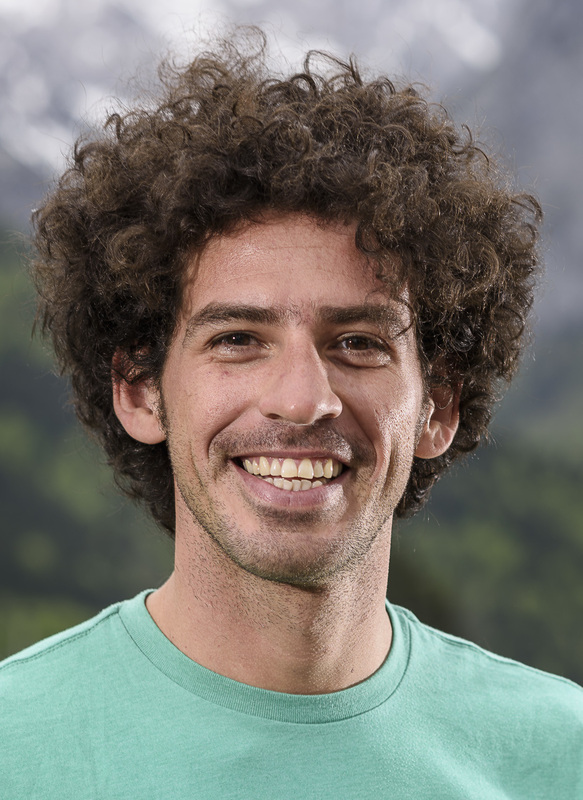 Coming from Tyrol, Austria, Moni is a real travel and outdoor enthusiast. 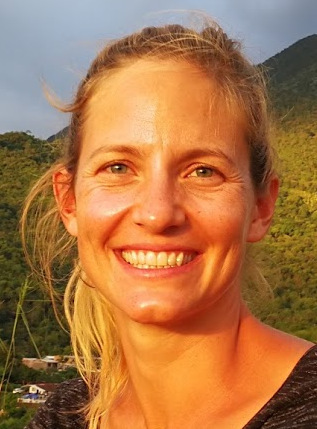 Started to fly in 2016 she is quickly exploring the beauty of her new passion, beside practicing kite-surfing, climbing and hiking. She is fluent in German, English and Spanish and will be happy to introduce you the Colombian way of living. She will be also helping out with the back office and communication of the courses. - Accident insurance that covers paragliding. - Experience level to safely take-off and land by yourself. - Basic thermal flying skills. - Fluently speak one of these languages: English / German / Spanish / Hungarian. - Complete flying kit suitable to your skill level. - Reserve parachute re-packed within the last 6 months prior to the course. - Travel cancellation insurance strongly recommended.